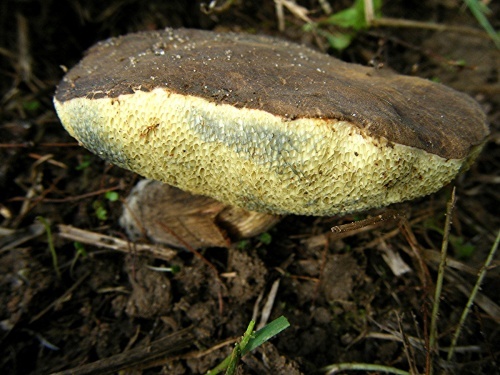 This pored mushroom gets its name from the colour of its cap. It grows to 14 cm with a cap diameter of 18 cm. The pores are pale yellow which, like the flesh, stain blue if cut or bruised. It is relatively common throughout much of Britain.